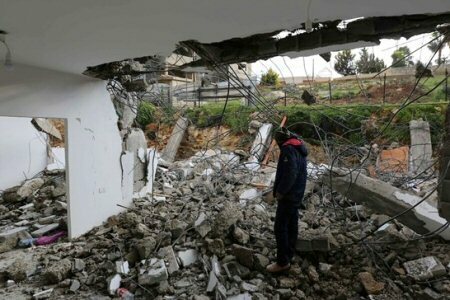 Israeli Human Rights group B’Tselem recently released a report, examining the rulings of Israel’s High Court of Justice (HCJ) to restrict Palestinian building, and demolish Palestinian homes, while authorizing illegal Israeli Settlements in the occupied West Bank. One example is the village of Khan Al-Ahmar, 2 kilometres south of the settlement of Kafr Adumim, east of Jerusalem, in the southern West Bank. The justices of Israel’s HCJ concluded that it is “unlawful” for Palestinians to build on the compound, therefore there was “no legal obstacle to demolishing the structures in the community of Khan Al-Ahmar”. The report states that “Israeli authorities consider the demolition of Palestinian homes in the West Bank as no more than a matter of illegal construction, as if Israel does not have long-term goals in the West Bank”, that “this policy imposes a virtually blanket prohibition on Palestinian construction”. The report further states Israeli “justices have regarded the Israeli policy as lawful and legitimate, nearly always focusing only on the technical issue of whether the petitioners had building permits”. “The planning apparatus Israel has instituted in the West Bank serves its policy of promoting and expanding Israeli takeover of land across the West Bank”. From “January 2000 to mid-2016, Palestinians filed 5,475 applications for building permits. Only 226 (about 4%) were granted”. From the year 2006 through 2018, “Israel demolished 1,401 Palestinian residential units in the West Bank (not including east Jerusalem)”. “Particularly blatant is the justices’ disregard of the fact that implementation of the Israeli planning policy involves violating the absolute prohibition on forcible transfer”. “Since occupying the West Bank over fifty years ago, Israel has built 250 new settlements – whose very establishment is prohibited under international law”. “It stands to reason that the judges are well aware, or ought to be, of the judicial foundations they are cementing in their rulings, and the devastating implications of these rulings, including the violation of the IHL (International Humanitarian law) prohibition on forcible transfer. 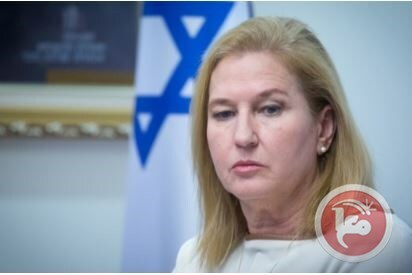 MK Tzipi Livni announced that she is quitting her political life after two decades and pulling her Hatnuah party out of the upcoming Israeli legislative elections scheduled for April 9th. Livni held a press conference in Tel Aviv, on Monday afternoon, officially announcing she is pulling out of the race for the 21st Israeli Knesset, and stressed, "I believe that my and Hatnuah's positions are better for the State of Israel and that justice is on our side. I have the internal force to continue fighting for what I believe in, however, I lack the political force to implement my ideology. I will never forgive myself if the votes of those who believe in me go to waste." After opinion polls were published on Sunday and two of them gave less than 1% of the vote to Hatnuah, showing that the political party would not pass the electoral threshold, Livni sought to join forces with either the Yesh Atid or the Israel Resilience party. However, Livni reached a stalemate, which reportedly led her to decide to leave politics behind. Livni began her political life as a member of Knesset for the Likud party in 1999 and in 2005 she joined the Kadima party, set up by former Israeli Prime Minister Ariel Sharon, and was elected chair of the party in 2008. Later in 2012, Livni resigned from the Knesset and set up her own Hatnuah party after her defeat in Kadima party leadership primaries. 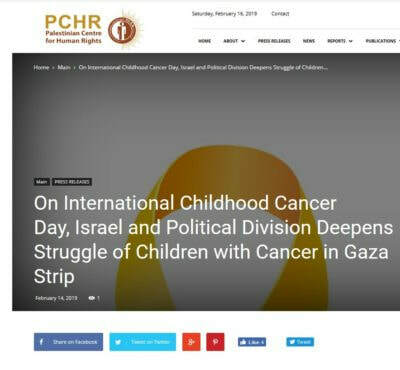 In the 2013 Israeli elections, Hatnuah won six seats and Livni was made justice minister in a coalition with current Israeli Prime Minister Benjamin Netanyahu, in addition to being appointed in charge of negotiations with the Palestinians. For the 2014 elections she united Hatnuah with the Labor party to form the Zionist Union and was opposition leader from July 2017 until the January 2019 when the Zionist Union was dissolved. Among those wounded, 526 are in serious condition and 101 had their lower or upper limbs amputated; 89 lower-limb amputations, 2 upper-limb amputations, 10 finger amputations and 17 children had their limbs amputated according to the Ministry of Health. 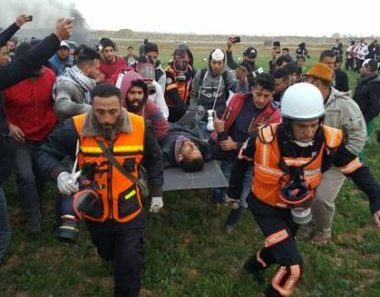 The number of those wounded only include those wounded with live bullets and directly hit with tear gas canisters as there have been thousand others who suffered tear gas inhalation and sustained bruises.